Today we have a special post. We are joining the #WritingProcess Tour! We were invited by Lisa from Dogs 'n Pawz . If you don't follow their blog, you should. 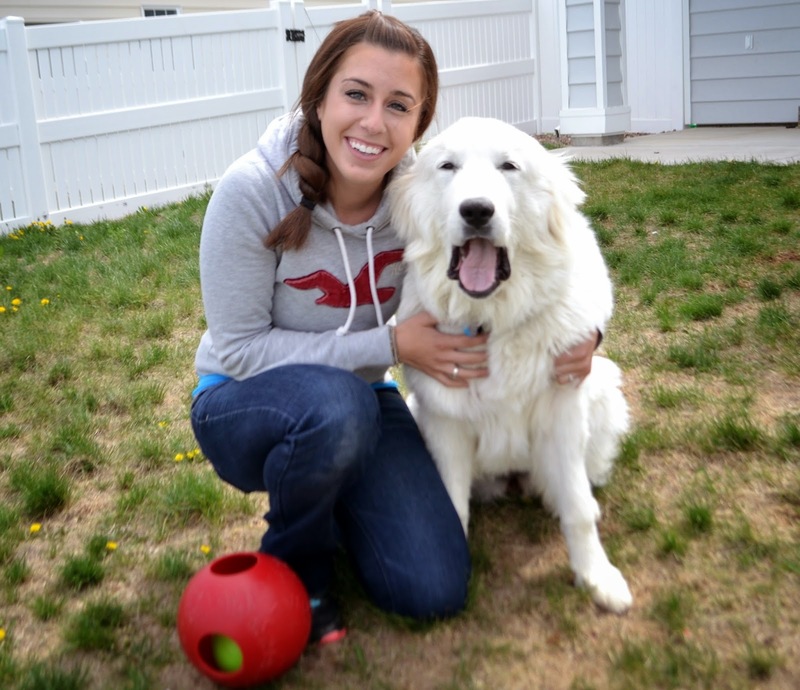 They share tips on dog health, dog training, dog treat recipes, dog grooming and more! They also have an online store. To visit their store, click HERE. And they have a Amazon Review website called The Daily Coffee Bean. Its pretty cool. To check it out, click HERE. 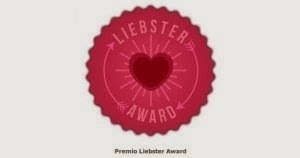 I haven't been following Lisa's blog for very long, but I quickly became a fan! Lisa has gorgeous pups! They are all very special to her. Anyways, we are supposed to answer three questions, so I'll try not to bore you. Here goes! Well, I am currently working on following more blogs, to build my audience and our social media followers. We are also thinking about starting a group thing, like a place where kitties can go and join the group. We will dedicate a post to it in a few days. 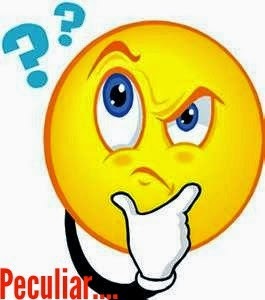 We are also working on joining more blog hops to get more publicity. We aren't really working on anything specific other than the above. If you come to my blog every week (or every other week if we are busy), you would know that this blog is about my two best boys Mikko and Jax. They are my inspiration, and their life is so full of ups and downs! I started blogging because I wanted to share the life of my kitties with you, however when I first started blogging I only had Mikko at the time, and then I adopted Jax and things got a whole lot more interesting. I just wrote a page for it to be there, and I shared my blog on Google+ and I visited some blogs recommended to me by Love is being owned by a husky. And then the more blogs I visited, the more my audience grew. I don't have a huge audience, and I am content right in my little comfort zone. Some day I may want to grow my audience like some other blogs. But I don't want to, not just yet anyway. I love reading other people's blogs, and I love learning about dog breeds and cat breeds, and I love to have a good laugh now and then. I am so happy I decided to blog, because I love every one of you guys out there! Well, there isn't much to say here. When I am on my tablet, and I get a great idea for my blog, all I do is open my notes and write it down. Then when I get onto the computer, I start my post. Thanks to Jan's Funny Farm, I know about the auto-post. You can write your post and schedule it for a certain day and it will automatically post for you. Though sometimes it doesn't work, but usually it does. When it comes to writing, I get lost A LOT. I try though, I really do. Sometimes when I am writing my post, I just totally forget what I am doing, or I can't think of anything else to write. I may not be the best writer, but I love writing my posts anyway, and sharing what I did during the day, stuff like that. I don't take a lot of photo's of Mikko and Jax. They are usually playing, lazing around or grooming. Though in the next couple of weeks I am going to take lots of pics of them to share with you! Well, there isn't a lot more to say, other than I absolutely LOVE writing my posts for you guys to read! I was also asked to invite 3 other bloggers to this writing process tour. If you don't follow their blog, you should! 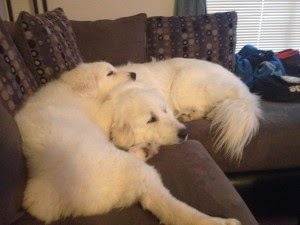 They have 2 beautiful Great Pyrenees pups, Mauja and Atka. Both of their names are Inuit names. Mauja means soft, deep snow, and Atka means guardian spirit. As Kelsie said, they are pretty fitting for snow-crazy guard dogs! We absolutely love reading about them, and learning about their breed! We always love to learn about different topics! Next, we invited Debbie, aka Glogirly. 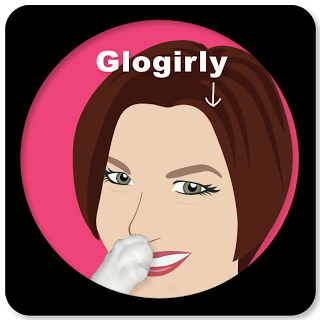 Glogirly is a professional designer. 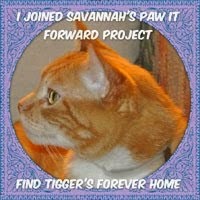 You should definitely follow their blog, they tell the tales (or should I say, tails!) of Waffles and Katie. 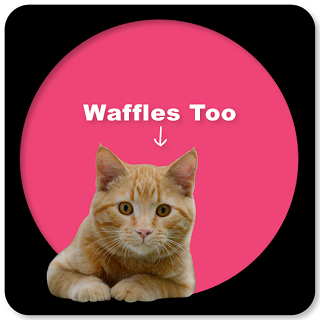 Waffles is absolutely hilarious, and Katie is like the big boss. They are both gorgeous, and we love to read about them! Lastly, we invited Sue from The island Cats. The island Cats are, well, three cats! 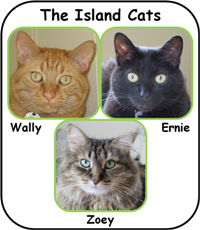 Wally, Ernie and Zoey are the Island cats! You should head on over to their blog, even if you are a dog! Sue started calling her kitties "The Island Cats" since they moved to Grosse Ile, Michigan, an island community south of Detroit. We absolutely LOVE reading about Wally, Ernie and Zoey. We especially love their "Whats that Wally Doing?" post! We always get a great laugh! Well, thats who we invited! Unfortunately, only The island cats were able to accept our invite. Kelsie and Debbie have already done the #WritingProcess Tour. There aren't a lot of people left who haven't done it yet, pretty much EVERYfur has done it! 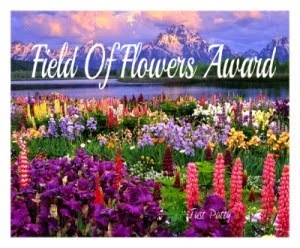 We were lucky to have at least one person accept. Anyways, we hope we didn't bore you to much! Thanks for reading about our #WritingProcess! Anyways, today the boys went to the Canva beach, after sporting the runway! But of course, no water. Jax: You know I'm always prepared! Mikko: I'm not undercover, I am just wearing my cool shades, yo. Today we are joining Oz the Terrier for Bad Poetry day! 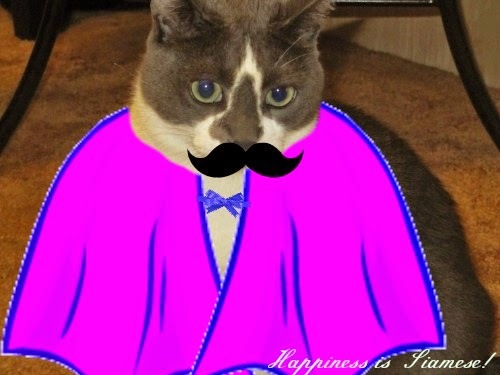 Thanks Oz for making this PAWTASTIC contest/bloghop! Now, I'm not the best poet, so this should be easy! Mikko, Jax and I thought up some poems for each other. We hope you like them! Everyfur should know about my awesomeness. But my awesomeness is just bottomless! Mikko wanted to name him Sage. But he stole our hearts without a doubt! She makes us both gravitate. But sometimes she is as cold as snow! Written by:....Wait, Mikko did you just call me stout? !!! You could have said something like: "She makes us runabout!" AND you said I am cold as snow sometimes! I am not! Mikko: That makes no sense. And yes, you are sometimes. When we jump up on the counter and attempt to eat human food off of the burning hot stove you are. Sure it does! AND it would have been better than "She is stout"!!!! 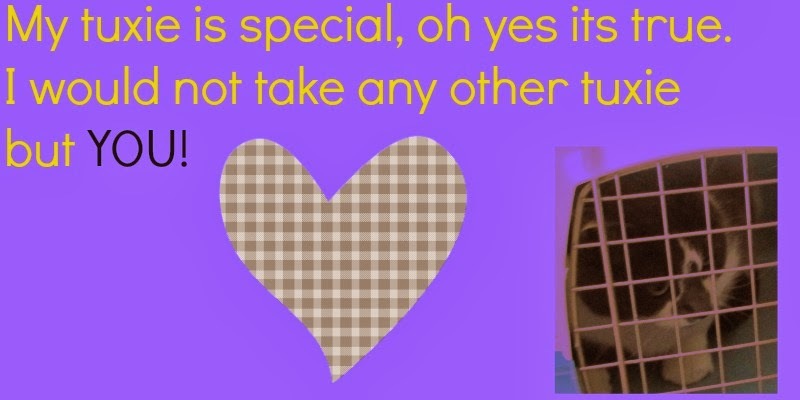 And thats because I don't want you two to melt your tongues off! Anyway, that was our poems. Hmph. 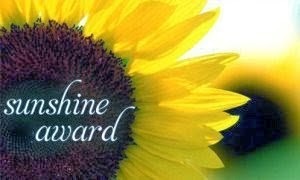 We are entering the contest blog hop late though. But we are not in it for the win, we are in it for the fun! Today is a happy day! You know why? No? Well, I'll tell you then! Jax does look good undercover...Mikko refuses to hide his identity, he says that he is to pawsome, and that EVERYFUR must know about him, not a fake Mikko. (Maybe because I told him if he went undercover, I would call him Kikko instead..*snickers*). Jax, *AHEM* I mean, Mr. HissyMc Hisserson and Mikko went for a lovely walk in the Canva park. JAX! Why are you not undercover? *Ahem* You don't wanna make me reveal your nickname, do you? Jax: *Small Snicker* Mhmm, I'll get right on that. You asked for it, Mr. Jaxer Baxer Boosers! Jax: MOM! How could you? Mikko: HAHAHAHAH!!!! Mr. Jaxer Baxer Boosers! TOO FUNNY! *Snickers* That's your new name from now on! HAHA! Mikko: GASP! Mum! Secret nicknames stay secret! Mhmm, yet as you say this, you didn't keep Jax's secret very well, now did you? Jax: HAH! My turn to laugh! Meeker Meeks! Aww the little baby Meeker Meeks! 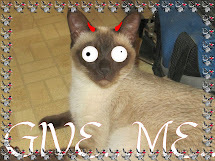 Mikko: *Siamese Stare* You don't wanna go there Jax. Never go there. AHEM! You guys, can I get back to the post now? Ah, okay. Now, back to the post, now that they are FINALLY gone! 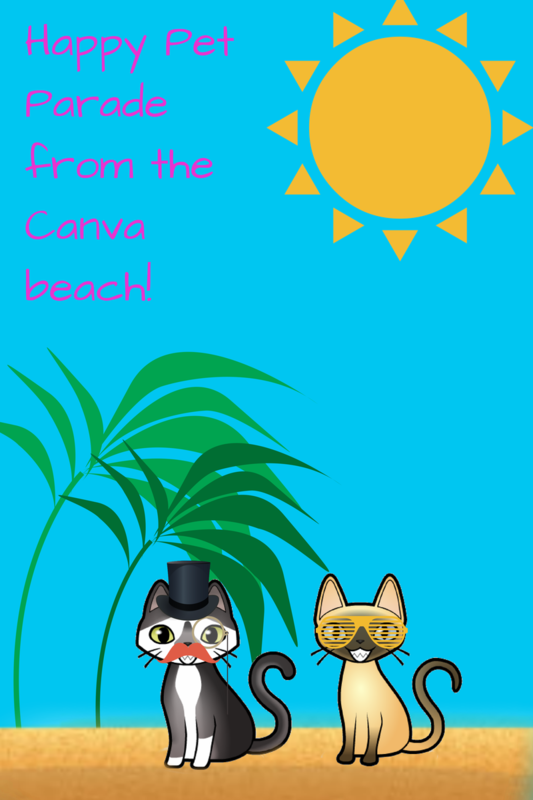 I know you are probably wondering what a "Canva" is. Canva is a photo editor, we were invited to join by Love is being owned by a husky. It's kind of confusing, though it is pretty cool. BUT, most of their stuff costs money. Only $1.00, but still, I wish there was a good photo editor where you don't have to pay for anything. Anyways, Happy Super Cat Sunday everyfur! 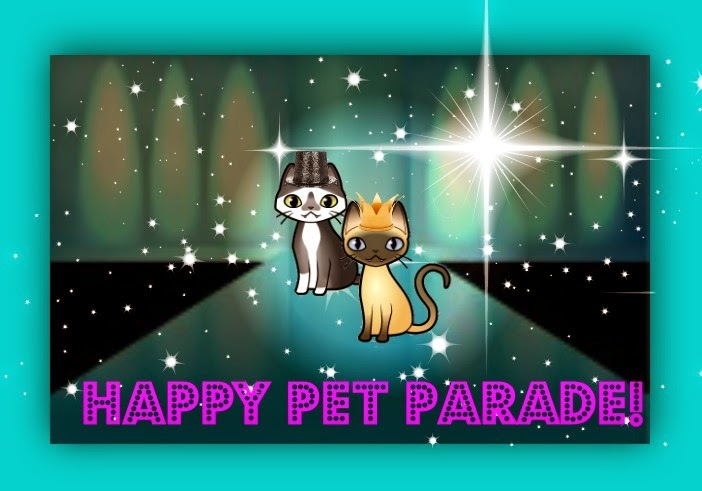 Hope you and your kitty have a pawtastically pawsome day, and your kitty is super, cape or no cape! PS: You are welcome to post your own Super Cat Sunday! 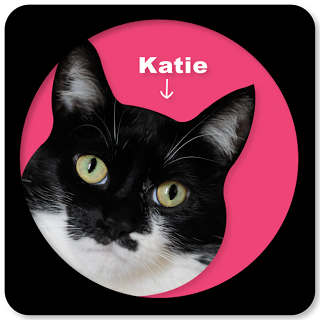 Tell us your kitty(s) undercover name(s) and put them in a cape! (Maybe even add a beard or a mustache like we did with Jax to jazz it up a bit!) 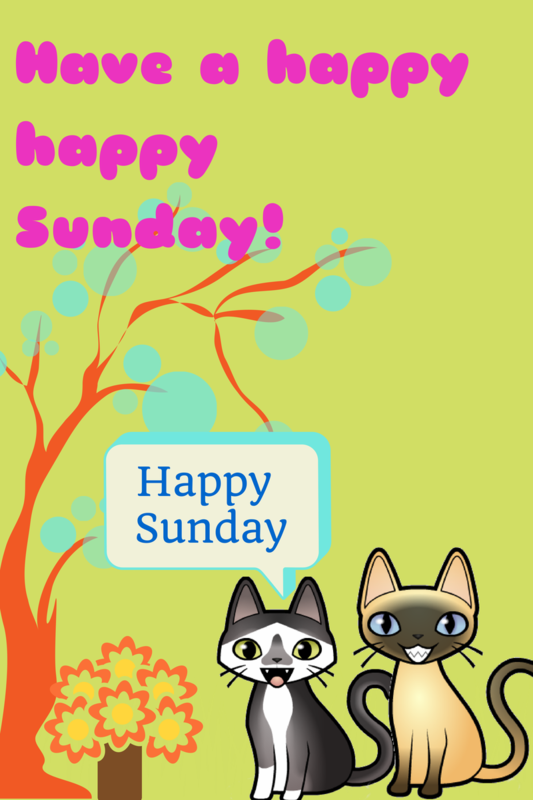 Make sure to tell us if you decide to do a Super Cat Sunday post next Sunday! We will feature you in our Sunday post, saying that you participated! Hey everyone. I know, we haven't been blogging. 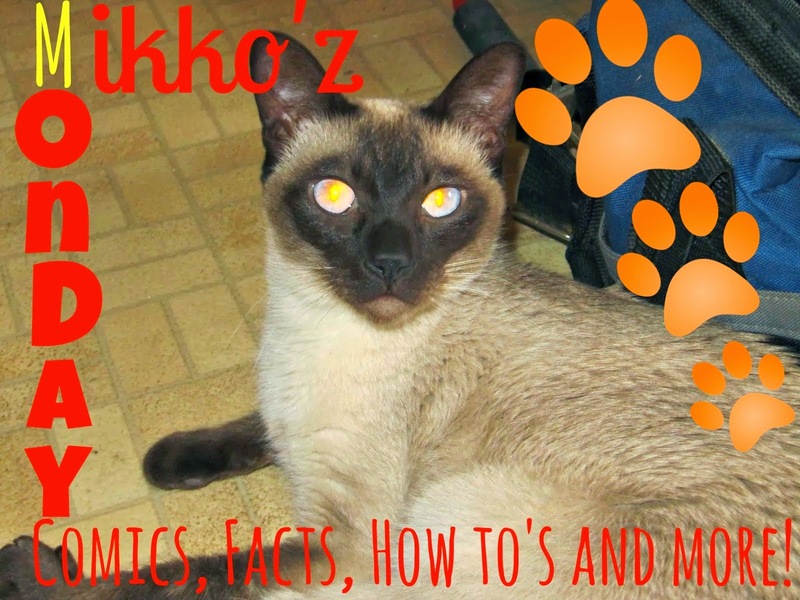 So, you all probably forgot about "Mikko'z Monday". So, to refresh your memories, we will tell you. So, if you read the last post (Which its okay if you don't want to), then you know that last we left off, Jack has been 'defeated', or so you think. Just get on with it mum. Um, Mikko, why are you looking at me like I am a she devil? Tell the story. Just tell it. Mikko and Maggie put the dart into Jack's leg. Now what? As Jack's eyes slowly fluttered open, he heard voices. "...what do we do?" A female voice. Then, slowly, the memories flowed back into his mind. The plot, the captured cat, SM, his sister Maggie, everything. "I don't know." More clear now. He just barely recognized Maggie's voice. Then he remembered the 'incident'. He remembered it like it was yesterday. They were playing together, when their owner came with some treats. Jack got his after Maggie. She finished before him, and then he dropped his. Maggie swooped in like a bird and stole his treat. HIS treat! Jack was so enraged at the time, he ran away. His owner chased him, and then he was gone. Running faster then the wind. Ever since, he has been plotting against Maggie. As he grew older, Maggie and their owner grew sadder. But, as he grew, his rage dissolved to every person in the world, instead of Maggie. He forgot all about her and that day. But he never forgot his rage. Just then his "room" door opened. Maggie and Super kitty Mikko walked in, closely followed by Diamond. He laid down on the chair in the room and pretended to be asleep. "What do we do with him?" Asked SM. "Well," Maggie said. "What do you think?" "I believe he can be good. I want to teach him the betters of being a SuperHero instead of a Mastermind." At that, Jack opened his eyes. He faked yawned and said, "Where am I?" Then yawned for real. They all turned to him. Diamond winced, as if remembering something painful. "I am going to make you good." Said Mikko. He held out his paw. His eyes said it all. "Take my paw. Change, be good. I will teach you to be a super hero. Please. Do it for me, the world, and Maggie. Please." 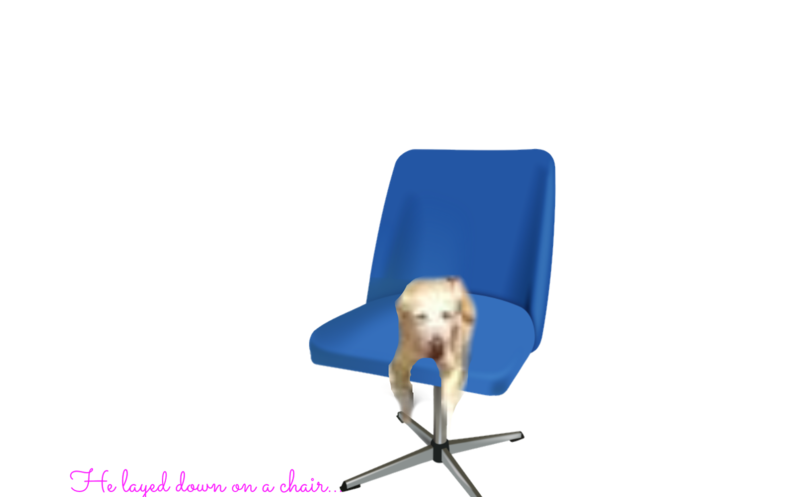 Jack took his paw, and from that day forward, Mikko taught Jack to be good, and he was one of the best super hero's there ever was, just like SM. There you have it folks, the Mikko'z Monday Adventures have come to a conclusion! 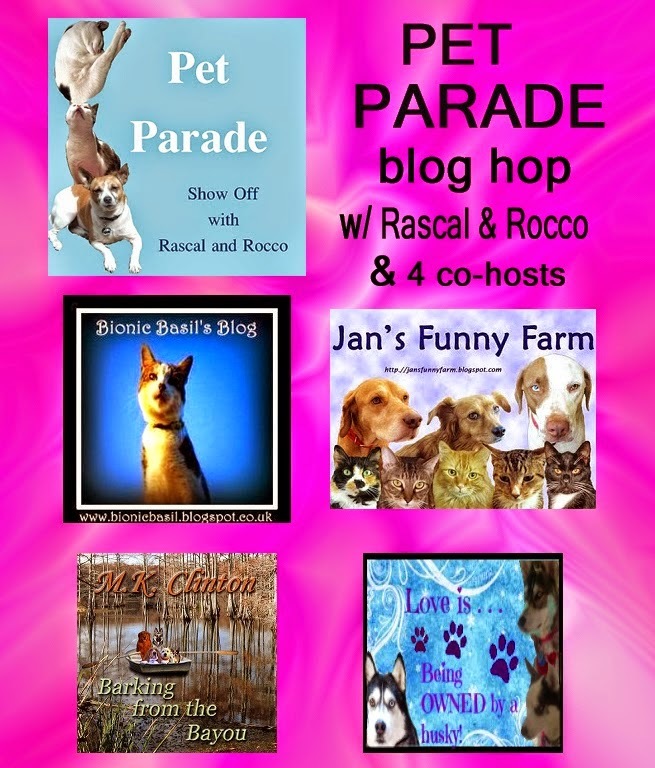 This week we are joining Rascal and Rocco, Jan's funny farm, Love is being owned by a husky, Basil the Bionic cat and Barking from the bayou for the Pet Parade today! Today we decided to get in on the photoshop fun....hehehe! 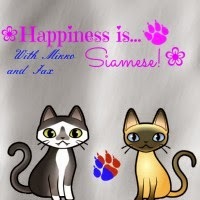 We were inspired by Love is being owned by a husky to put my kitties on the runway. We would use real pictures and just cut them out, but I don't have a clear shot of the cats sitting or standing, facing the camera. So we cartoonized them. Mikko and Jax, the spotlight is on you! Mikko, I said the spotlight is on you guys, not that I was letting you guys do the talking. Jax: Why not? Seemz like a good idea to me. Jax, no. I want to do the talking. *Snickers* Yep! Now stick to the script or I do it. Mikko: UGH! Fine. Hey everyone! Jax: Hope your having a good day! Nailed it! Okay, the post is done. Go play! Mikko: Okay, fine. Wake me when its Monday. Hey Jaxi Waxi! Hey boy! Want some extra treats? Heh..Just don't tell Mikko you saw me and I'll do whatever you ask! PLEASE DON'T TELL HIM! I deal with him enough every single post! Jax! Anything BUT that. I mean like, I'll give you extra treats or...or...Aha! Ting! *Lightbulb goes off* I'll buy you a new toy! FINALLY! As I was saying. I wanted to wish everyone a happy PP! Anyway, have a pawsome day and we are done!